Item No. 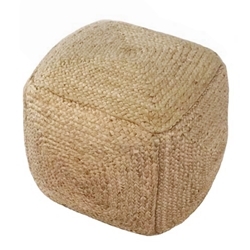 1164 Natural Woven Braided Hemp Square Pouf. A dual purposed ottoman and stool with wonderful soft texture.